"A New Floral Harmony." 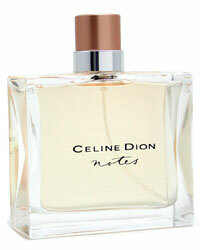 Notes Parfum by Celine Dion, was Celine's second celebrity perfume. This floral fragrance was created by perfumers Jean-Pierre Bethouart and Jean-Claude Delville and launched in 2004 by Coty. Available in Eau de Toilette Spray, Body Lotion, Shower Gel, and Deodorant Body Spray.